Well the time has come, after 8 years in our semi our family of four has out grown our house and the search for a new one starts. The house is perfect in all but one way ~ its missing ONE room! Its been renovated, redecorated had a new kitchen, a garden makeover, a new garage absolutely everything but with two toddlers and two parents who work from home the tedious task of tidying up to set up office for the day has got too much, also the kids could do with a dedicated playroom where they can create as much chaos, mess and noise as they want! 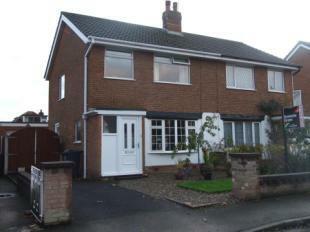 The property briefly comprises of Lounge, dining room and kitchen. To the first floor there are three bedrooms and family bathroom. The property benefits from gas central heating and double glazing, front and rear gardens, garage and driveway providing off road parking.